By Miranda Marquit 1 Comment - The content of this website often contains affiliate links and I may be compensated if you buy through those links (at no cost to you!). Learn more about how we make money. Last edited July 7, 2014 . It seems a little counter-intuitive to think that it might make sense to lease a car. However, the reality is that it can make sense to lease a car, depending on your situation, your financial goals, and your priorities. Before you decide to take the plunge, though, it's important to understand what it means to lease a car, and the potential pitfalls of doing so. While the decision to lease or buy a car does include a financial calculation, the reality is that it comes down to your priorities, and what's important to you. Leasing rather than buying is good for people who place emphasis on the importance of driving a late model car regularly. 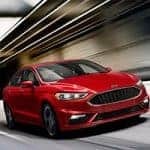 For those who want a new car every two or three years, leasing works well because it allows them to turn in the older car without too much hassle when the lease period is up. You don't have to worry about selling the car (and not getting what you paid) when you lease. Another nice thing about leasing is that you are usually expected to bring the car to the dealership for service. In some cases, you might not have to pay anything at all for regularly scheduled maintenance. And, of course, most other repairs are under warranty when you drive a late model car. If convenience is important to you, and you don't want to worry about breakdowns (which can occur as you drive a car you own for years), a lease might be the right way to go. Finally, leasing works for those who are more interested in getting a car that is normally out of their price range. When you figure the payments on a car you really like, you might be disappointed to discover that you can't afford the monthly cost. With a lease, you can usually “upgrade” to a nicer car because lease payments are generally lower than a car payment. When you decide to lease a car, however, it's important that you go into with your eyes open. The biggest drawback to leasing is that you don't own the car. You make an up front payment and then you make smaller monthly payments. But at the end of the lease period, you don't own the car. All that money has gone for basically nothing. You've essentially been renting the car (just as you might rent a house). In some cases, you might not have to put down another up front sum if you just keep turning in your leased car and getting another one, and some dealers might allow you to count some of what you've paid toward purchasing the car, but it's not really the same. Also, be aware of restrictions on driving. In some cases, there are hefty penalties for driving too many miles in a year, or going beyond other restrictions. Be careful about how you drive, or your lease may be more expensive than you thought. I, personally, don't lease. 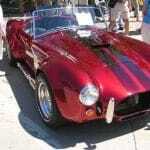 I buy late model cars that I can drive for 10 or more years, without worrying much about re-selling. However, I can see how leasing would be attractive to some consumers, and how it might make sense in certain situations. What do you think? 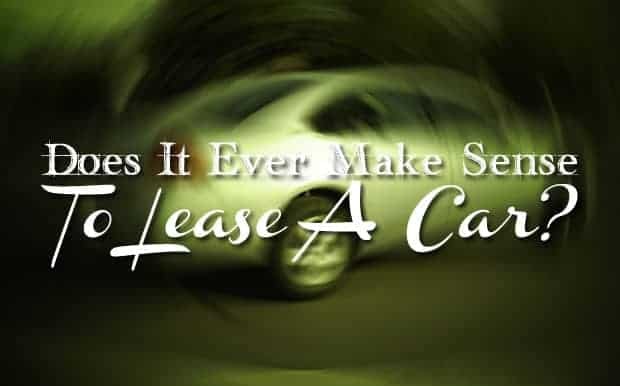 Would you lease a car? Last Edited: 7th July 2014 The content of biblemoneymatters.com is for general information purposes only and does not constitute professional advice. Visitors to biblemoneymatters.com should not act upon the content or information without first seeking appropriate professional advice. In accordance with the latest FTC guidelines, we declare that we have a financial relationship with every company mentioned on this site. Leasing can work well if you are getting some sort of tax credit for doing so. Several people at my wife’s work are leasing Nissan Leafs because of tax credits in our state. The credit essentially pays for the lease payments. Next Post: How To Get A Late Fee Waived: Ask Them To Remove It!